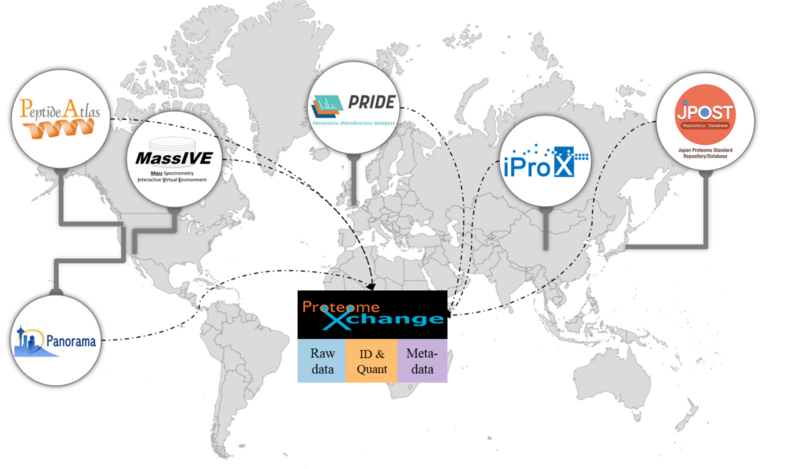 The ProteomeXchange Consortium was established to provide globally coordinated standard data submission and dissemination pipelines involving the main proteomics repositories, and to encourage open data policies in the field. Please review our Data Submission Guidelines and PX Membership Agreement. See also the original Nature Biotechnology publication and the 2017 update paper. Public PXD datasets can be browsed over at ProteomeCentral. 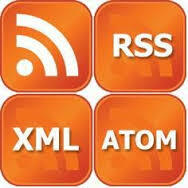 An RSS feed is also available. ProteomeXchange fully supports both MS/MS proteomics and SRM data submission. Submissions of other types of proteomics data is also possible using the Partial Submission mechanism. Subscribe to receive all new ProteomeXchange announcements! The current members of the Consortium are: PRIDE (EMBL-EBI, Cambridge, UK), PeptideAtlas (ISB, Seattle, WA, USA) (both of them are the founding members), MassIVE (UCSD, San Diego, CA, USA), jPOST (various institutions, Japan), iProx (National Center for Protein Sciences, Beijing, China) and Panorama Public (University of Washington, Seattle, WA, USA)”.